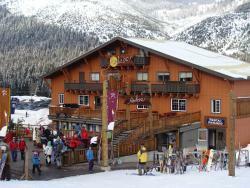 I’ve frequented the Summit at Snoqualmie for over ten years and I must say, I plan to return each and every season. They have exactly what I look for in a ski resort: variety, affordability, close proximity to Seattle (the drive is usually under an hour), and not to mention, great food! This year has been an exceptional year for all winter sports, as the mountain ranges around Seattle have received coating after coating of fresh snow. With that being said, there’s still time left in this spectacular season to visit the Summit at Snoqualmie! Let me give you a rundown of the ski resort as well as a few of my favorite spots on the mountain. First, there are a few different ski/snowboarding areas of Snoqualmie: Summit West, Summit East, Summit Central, Alpental, and Nordic. There is also a tubing area at Summit Central that’s fun for the whole family! Nordic is the central location for cross-country skiing and snowshoeing and from what I hear, Alpental is home to some of the more challenging runs at Snoqualmie. Personally, I wouldn’t know, because I tend to stick to Summit Central. 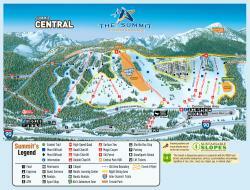 Summit West and Summit East are both great, and they offer a nice change of pace from Summit Central. I’ve also found that they tend to be less crowded than the runs at Summit Central. But I’m telling you, from a snowboarder’s perspective, Summit Central is the place to be. With thrilling parks, varying terrain, great views from the top, and some delicious dining options, I choose Summit Central 90% of the time. Not to mention, Summit Central is open 7 days a week, and that’s not always the case for the other parts of the mountain. My favorite runs would have to be Central Express and Triple 60. Central Express takes you all the way to the top, at an elevation of about 3865 feet. From there, you have a lot of different route options, including the famous Central Park. Now, I’m not going to be in the X-games any time soon, but I love the thrill of Central Park. Boxes, rails and tubes, I’ll try them all, and eat snow about 75% of the time. Hey, that’s what helmets are for! When you want to take a break for a bite to eat, you have a lot of great venues to choose from. At the Central Lodge, each floor has its own dining option: The Tipsy Donkey on the first floor is great for tacos and drinks, the Timberhouse Café on the second floor has all of your American classics like burgers and pizza, and Whiskey Pete’s on the third floor is a laid back 21+ venue, great for micro-brews. I tend to not stray far from the lodge so I usually stick to these spots for lunch or dinner. The one exception would be when I’m in the mood for barbecue beef, then I hit Rodeo’s right next to the lodge. Day or night, Summit Central is my snowboarding destination, but it all depends on what you’re looking for. 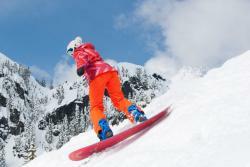 Visit the Summit at Snoqualmie this season and try all sides of the mountain yourself! When you do, let me know which side you preferred.